Like many gamers, I’ve been playing board games for my entire life. I started when I was a kid playing typical kids’ games like Candy Land, Chutes and Ladders, and Cootie. Later there were games like Monopoly, Life, and Clue. High school introduced me to RPG’s and college was for party games and poker. After college, I discovered the wonderful world of modern games and it’s been downhill for my wallet ever since. Gaming is unique in that it is one of the few activities that most humans can pursue throughout their entire lives no matter how old they are, where they live, or what other challenges life throws at them. There are games for almost every age and ability level. 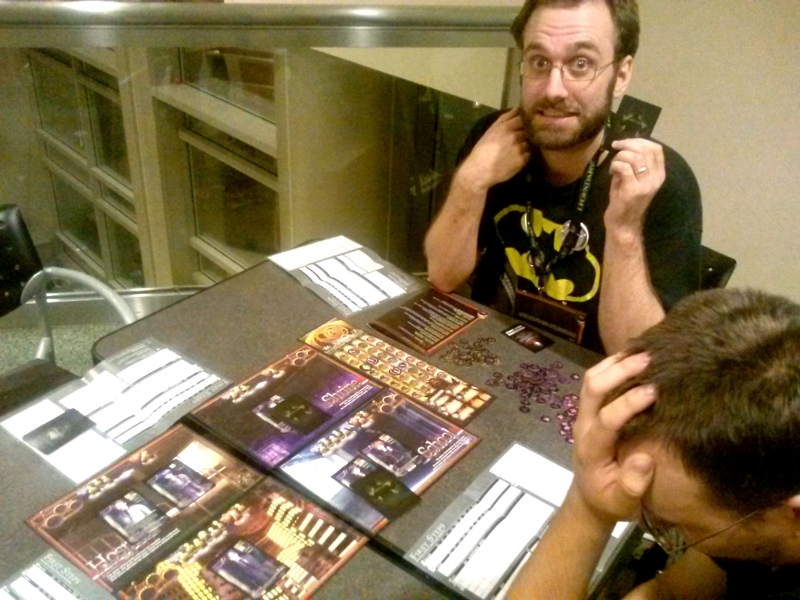 Games can even be found to accommodate many disabilities, both mental and physical. When you’re a little kid and can’t yet read, there are games that rely only on pictures. Those with learning disabilities can be accommodated by games that skew younger, or by special educational games. When you’re old and have lost your physical abilities, you can still play games. Unlike sports, games don’t require physical prowess (table flipping notwithstanding), so when your glory days are gone, you can still play board games. 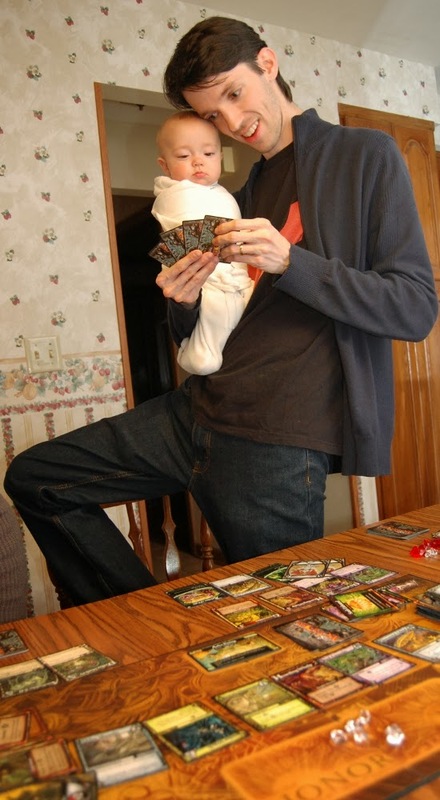 You’re never to young to start gaming. Even people with dementia can manage to play some games, as evidenced by my uncle who didn’t know where he was half the time near the end of his life, but still managed to play games like Qwirkle and basic card games. And those with failing eyesight and dexterity skills can find games with larger, easier to handle components. Now that many rulebooks are published online, it’s easier to adjust the fonts for ailing eyes, as well. You can play games when you’re sick or injured and can’t get out of bed. When I was recovering from a bad back and hip injury, I couldn’t do much of anything except play games. You can play games in good economic times and bad. Sure, during bad times you might not be able to buy new games, but your old ones are still good. Unlike other hobbies that require constant purchasing and upgrading of supplies or equipment games, once bought in good economic times, are always ready for play in bad economic times. You can play games no matter where you live. I knew someone who lived in Vermont and based his entire hobby life around skiing until the day his work forced him to move to Florida. Without skiing he was lost. If you’re a board gamer, location doesn’t matter. You can play in any climate, rain or shine. Even if you live in a stormy area where the power goes out regularly, you can still play as long as you’ve got a good flashlight. And if you are unfortunate and end up in an area/situation where there are no gaming groups and you don’t have a partner to play with, there are solo games. When your tastes change, games can change right along with them. When you discover that you don’t like science fiction as much as you once did and you’re spending more time with history, for example, your games can make the shift with you. When you realize you don’t have time to devote to four hour game marathons, there are plenty of shorter games that can step in and fill the void. And vice versa. Gaming can keep up with the changes in your life in a way that few other hobbies can. Gaming is also a hobby that’s useful throughout your life span. When you’re a kid, games are great learning tools. They teach you to share, to take turns, and to win and lose gracefully. (I do know some people in their 40’s and 50’s, though, who still haven’t learned that last lesson.) Games also reinforce cognitive skills such as reading, pattern matching, and dexterity. As you get older, gaming becomes more of a social tool. In high school, college, and young adulthood, party games are a great way to break the ice with new groups of people. They can be a fun, cheap way to pass a Saturday night when everyone is too broke to hit the clubs. 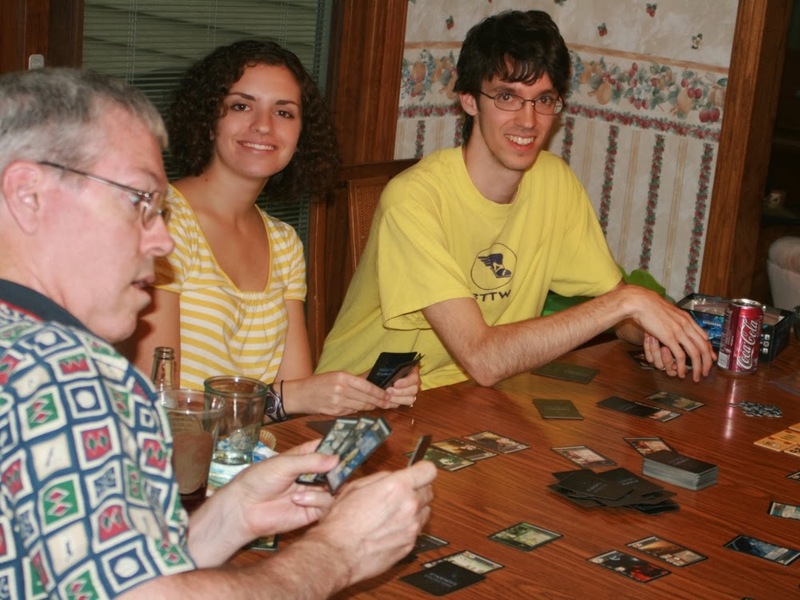 When you’re a parent, board gaming is sometimes less about the games and more about the time you get to spend with your adult friends, or at least with other adults who don’t throw mashed peas at you across the table. Hopefully. When you retire and leave work, gaming can give you a social outlet to replace the water cooler conversations you no longer have. And when you hit middle age and beyond, games can help slow the cognitive decline that comes with old age. No matter how old you are, gaming is always teaching you something or giving you something. You can’t say that for most hobbies. Reading is the only other hobby that I can think of that’s as universal and useful as gaming, but reading lacks the social component that gaming offers. Unless you join a book club, reading doesn’t afford you the chance to spend a couple of hours with your friends. So the next time someone asks you why you play games, try telling them that it’s the one hobby that will follow you throughout your life. It’s more loyal than most friends and family members. It asks nothing of you beyond that you show up at the table, yet gaming manages to give you what you need at exactly the moment you need it. It adapts with you as you age, as your friends change, as you marry and have kids, as your tastes change, and as your economic circumstances change. It doesn’t turn its back on you when you get hurt or old, and it never gets boring. There aren’t a whole lot of people that I can say that about, much less hobbies. Thank you for this post, Jennifer – a great reminder about how inclusive and universal our hobby is. Was a delight to read. Really well written article — thanks!